Class III-(IV) - During Spring flows the Lower Whitewater may feature Class IV rapids. ALL Participants will be required to sign a liability release before the trip. The closest rafting to West Yellowstone, only 45 minutes from West Yellowstone and the only rafting company in Big Sky, Montana. Under the fantastic rock walls of the Gallatin River Canyon you’ll plunge through famous rapids like Screaming Left, around House Rock, and down the Mad Mile. PRIVATE RAFT OPTION - Sometimes life is better with family and friends! If you would like a private raft with no other strangers in your raft, select this option during the reservation process. A private raft costs the same as 7 participants in a raft. For example, if you are making a reservation for 2 adults and 2 child rafting trips, you will select a quantity of 3 in the private raft option to equal 7 participants. 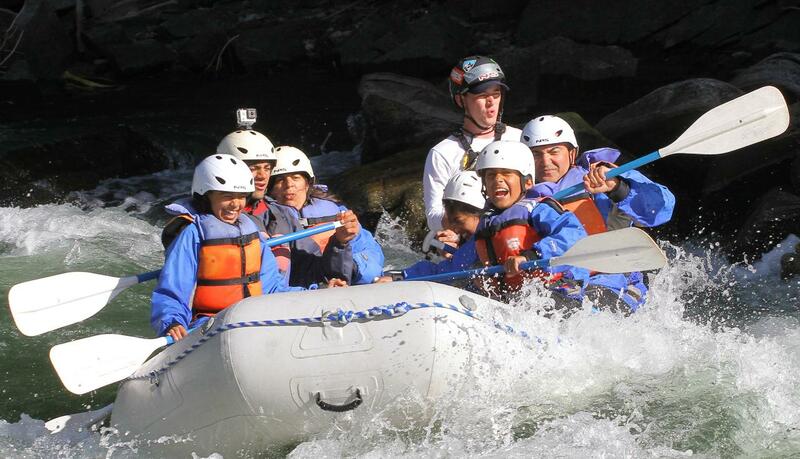 When you arrive, you will go rafting with the group however there will be no other people in your raft. Minimum age restrictions vary with water conditions. Additionally, this trip may not always be available during certain high water times in the early summer.